Tomorrow is sticker day for the One Lap of America. An arrival day, meet and greet. The cars undergo a tech/sticker/tire check in preparation for the week long event that is One Lap of America. The Top Speed car has been stickered, and its a unique look. I love the hood sticker, reminiscent of the Trans Am "flaming chicken" logo. Doug and Leh are going to have a live streaming camera, and other interactive items available starting tomorrow. 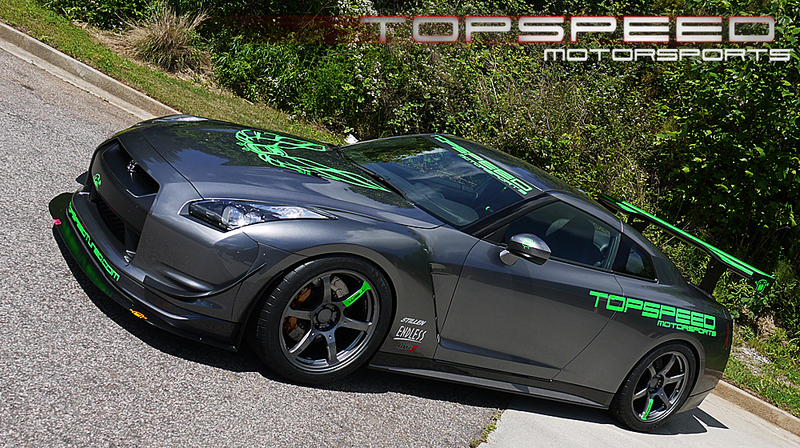 The car sports STILLEN/AP Racing J-hook curved vane rotor upgrade with Endless brake pads. For the suspension they are using a KW adjustable ride height coil kit, and STILLEN adjustable sway bars. On the power side, they sport an AMS Alpha 9 kit. 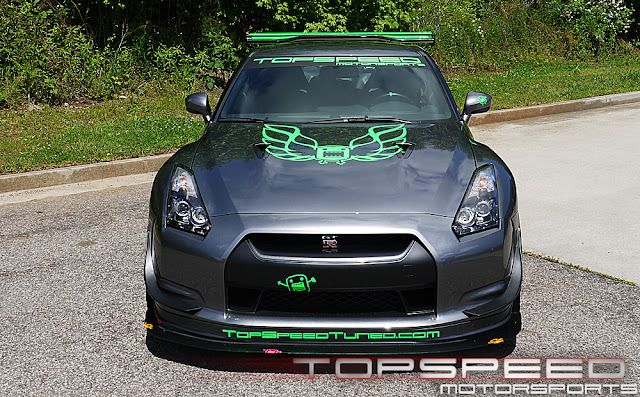 The TopSpeed designed wing, splitter, and STILLEN canards add up to an aero package that should give this GT-R an advantage over the other cars in this event. Check in tomorrow for more info, and the livestream. Good luck to Top Speed.